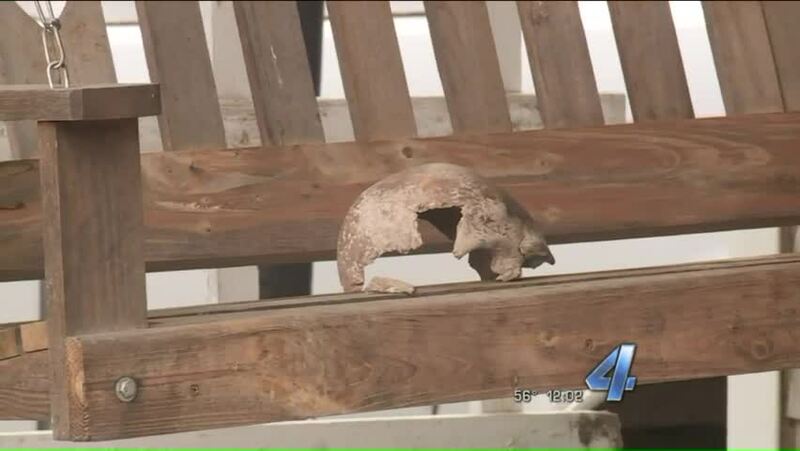 POTTAWATOMIE COUNTY, Okla. - A Wewoka man and his children made a shocking find Sunday - a human skull. Rudy Nunez was with a friend and two of his children fishing along the North Canadian River north of Earlsboro when Nunez's son brought him something. Nunez said the little boy thought he had found a turtle shell. "When I picked it up, I noticed it wasn't no turtle shell," Nunez said. He said he didn't know what to think. "I kind of got spooked out, because I was like it's a human skull, you know, it's a person," Nunez said. He decided to take the skull with him, planning to turn it over to the sheriff. "I was going to stop by the sheriff's but, at the same time, my son had jumped in the water, and they were hungry, so I was like, okay, we'll go home, and I'll just do it in the morning," Nunez said. He said his wife was immediately concerned. She wondered if the skull could be that of a Seminole boy who has been missing since 2006. Seminole County officials have recently been searching for the remains of Colton Clarkbut have, at this time, not been able to find any sign of the boy. Whether this skull is in anyway related to that case is unknown. Officials said it is simply too early to tell. Our crew contacted the OSBI who recommended they call the Seminole County Sheriff's Office. The sheriff's office responded immediately, taking the skull. Seminole County officials said the skull was actually found in Pottawatomie County, which means Pottawatomie County will have to take over the investigation into where the remains came from. That investigation is now underway. Nunez was taken back out to the river, walking the banks with deputies and showing them where the skull was found. OSBI officials said this is a good time to remind everyone, if you find what appears to be human remains, you should call police. "They should not disturb it, back away from it and call 911," said Jessica Brown, spokesperson for the OSBI. Picking it up could disturb any other evidence that may be there. Nunez did not mean to cause any harm. He had every intention of making sure the skull got to the authorities. He's now just hoping they can figure out who the skull belongs to. "It's still somebody," Nunez said. Pottawatomie County officials will be searching the area where the skull was found to see if there are any other remains. The sheriff tells us that they will be looking at all missing persons cases in the area to see if the skull is potentially connected.